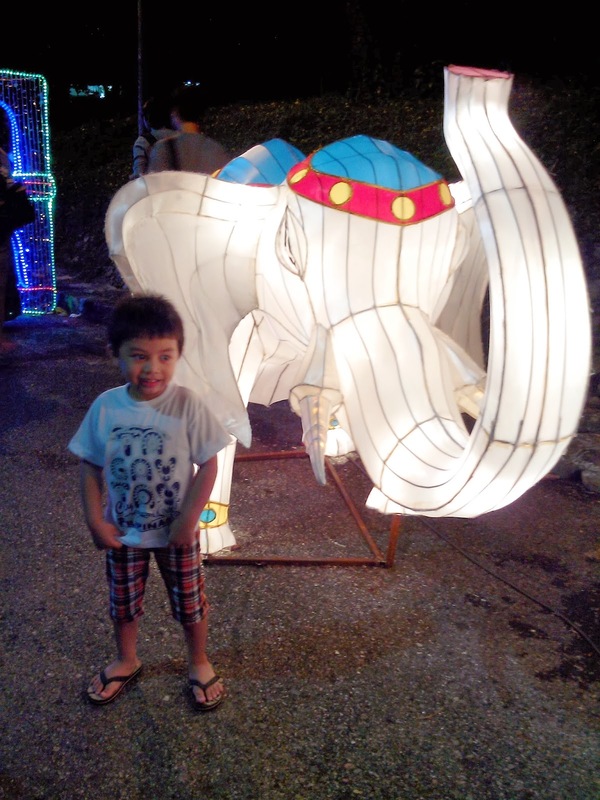 Last December 31, while we are waiting for 12 midnight, we decided to visit the Lantern festival. It is a 20 minutes drive from our house. Good thing our car was fixed already. With the whole family, we drove there and spent a little time taking pictures. Now, I remember to make a post here so I ask my sister-in-law to send the pictures she took on our visit but was a bit disappointed to know that she deleted the pictures we got. Only one picture left. So here's the picture that was left in here phone. As our little boy loves Elly so much... He don't want to missed taking picture with this elephant.